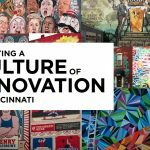 Like many offline events, the strategy and writing in support of the design panel Cultivating a Culture of Innovation in Cincinnati go back many months. A July 2017 story on design leaders making Cincinnati a fashion technology hub for Scripps/WCPO Insider includes an interview with Robyn Novak, Vice President and Creative Managing Director, FRCH Design Worldwide. 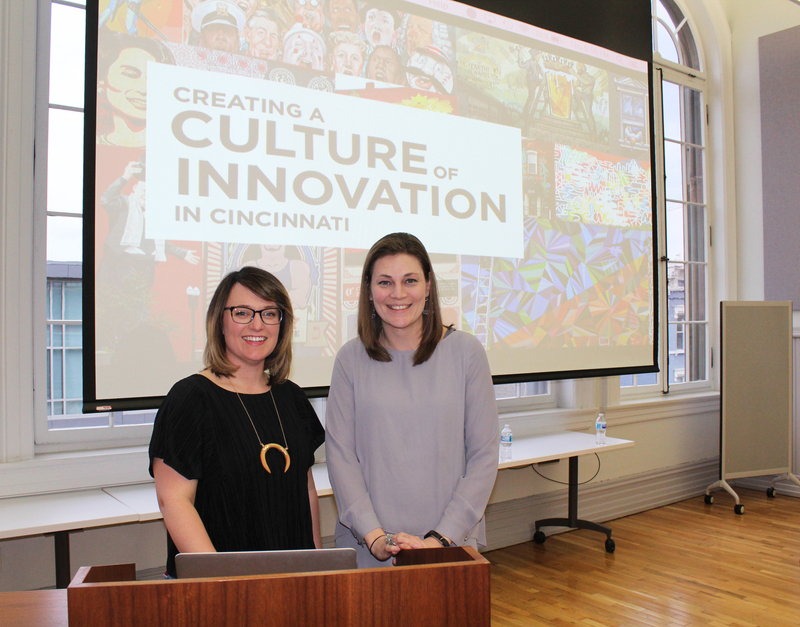 Our conversations around fashion entrepreneurs, startups and students lead to an enthusiastic commitment to collaborate on a Cincinnati event promoting thought leadership in apparel technology, fashion design and retail experiences. My WCPO story also attracts the attention of apparel technologist Jessica Hemmer, who joins Novak and I on the event team. For Novak, Cultivating a Culture of Innovation is an opportunity to step outside industry conferences and share her thought leadership on strategic design with a diverse audience of designers, entrepreneurs and startup founders across multiple industries. For Hemmer, a solopreneur who operates her own consultancy, Hemmer Design, LLC, our panel helps introduce her innovate work in apparel design to members of the StartupCincy tech community. 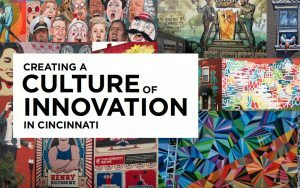 For me, Cultivating a Culture of Innovation offers the chance to generate awareness and publicity around two, Cincinnati-based designers working on a global scale. It’s also a moment to customize and test my content marketing and customer traction services. Brainstorms and sprints around event messaging, names and themes result in pitch decks, practices and run-of-show documents. Novak and Hemmer bond quickly and dive into event prep. Their collaboration around key topics from Open Source Design to Empathy continues to inspire me. Work travel pushes Cultivating a Culture of Innovation from November to February before eventually landing on Thursday March 8; International Women’s Day (IWD2018). A presentation by Novak and Hemmer is a pitch perfect event for IWD2018. The creative challenge for me is adapting my role as presenter, producer and panel facilitator in order to honor the IWD spirit and keep the spotlight solely on our female presenters. Luckily, I continue to be inspired by a recent talk by Emily Chang, Bloomberg TV reporter and author of Brotopia: breaking up the boy’s club of Silicon Valley. During her presentation, Chang delivers a call-to-action specific to men in the tech startup ecosystem. Men need to place the spotlight on female collaborators, coworkers and customers. Celebrate their work in order to reduce gender pay gaps and increase promotion opportunities. Most of all, after advocating the good work produced by female colleagues, men should quickly get out of the way and allow talented women to speak for themselves. That’s exactly what I do. I reference Chang’s call-to-action in my opening comments; put the spotlight on Novak and Hemmer, step to the side of the room and let these two design, thought leaders wow our 50-plus crowd. As an entrepreneur, I work out of Union Hall; Cincinnati’s startup hub, located in the Over-the-Rhine neighborhood. I’m supportive of the many meetups and events around IoT startups, cryptocurrency and coding. I also value how Cultivating a Culture of Innovation complements Union Hall’s tech-leaning programming with an emphasis on design strategies and creative thinking. Listening to Novak and Hemmer share their ideas; watching the crowd lean forward in their seats, I believe it’s safe to say that the Cultivating a Culture of Innovation audience are inspired by how these two design innovators create, live and work. I’m also convinced that the concepts shared by Novak and Hemmer will stick in their minds for a long time. 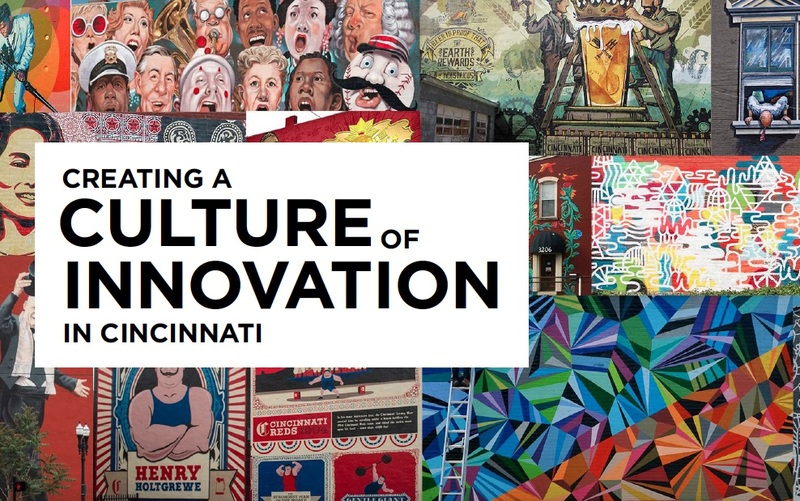 First installment of creativity series ‘Cultivating a Culture of Innovation’ previews what to expect from design talks. 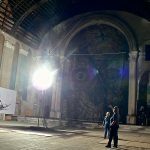 Here are five concepts shared at ‘Cultivating a Culture of Innovation’ that you can put into action via your own creative projects. 1. Embrace a Collective Mindset. Using their work with companies from American Girl to Under Armour, Novak and Hemmer explain how sourcing one’s creative community, whether influencers, trade shows or publications, will provide successful brand strategies, consumer insights and real problem solving. Enbracing a Collective Mindset is key for Open Source Innovation. Asking questions, both internally, but most of from external partners, will help grow your Collective Mindset. Action Steps: Seek key influncers, potential customers, collaborators and partners to invite into your Collective Mindset. Place members of your Collective Mindset into your customer journey map and product/service value chain. Identify the steps in your design thinking models that remain isolated within internal teams. Break down the silos and invite Collective Mindset members into the brainstorming. 2. Make Empathy a Creative Priority. Creative professionals frequently work with the client as top priority. After all, the client is paying the bills. However, when empathy becomes a creative priority, Novak and Hemmer reveal a consumer-focused approach to design that delivers deep, brand understanding, a spirit of inclusivity as well as products and services that transform industry expectations. Action Steps: Transform Empathy and Empathetic Bridges from buzzwords and industry hashtags into product features and creative service line items. Seed Empathy in the Campaign Launch and Ideation phases of your projects. Then, continue the journey and identify the profitable, useful and valuable use of empathy in market launch, market fit and customer traction phases for your product or service. Novak and Hemmer continue to witness design projects where technologies from Artificial Intelligence (AI) to Virtual Reality (VR) are utilized without any clear purpose or value for the customer or their end consumers. While there’s nothing wrong with ‘pure entertainment’ or razzledazzle as design goals, they look to design with the goal of Purposeful Technology. For them, Puposeful Technology emphasizes a design process that includes both pre and post consumer engagements. Most importantly, the concept of Purposeful Technology allows designers to focus on solutions. Action Steps: When looking at new category development, product and service design and engineering, manufacturing and material sourcing, outline the best technology tools and services for the jobs. Then, after identifying the desired tech, make a second pass and measure the value your desired tech brings to each task. You may think you need a costly VR experience in your design, but, the value for the client and end consumers may be modest. 4. Think both Inside and Outside the Box. In order to think innovately, Novak and Hemmer map out a design thinking model that begins ‘Inside the Box’ and shifts ‘Outside the Box’ in oder to deliver project success. Thinking ‘Inside the Box’ looks at the What and the Who. What’s your market? What are the influential market trends? What problems are you solving? Who is the brand; their competitors and end users? Once you answer these foundational questions, you pivot and ask ‘Outside the Box’ questions. How are we defining success? How do we define innovation? What is the brand strategy? Action Steps: Develop new models for measuring project success that looks beyond mainstream data like click-throughs and traditional project management graphs like timelines and budgets. Build and test models for measuring project innovation and the sustainability of your project’s innovation. Develop a maintenance agreement that looks beyond product and software bugs and fixes. Build a maintenance agreement that maintains and sustains project innovation.